The UCL Classical Play 2013 is Euripides' Trojan Women, in a translation by Alan Shapiro. The war is over. Troy has fallen. Abandoned by their gods and bereft of their men, the city's women wait inside a prison camp to be shipped off to a life of slavery, and discover that their suffering is far from over. Euripides' tragedy offers a deeply moving evocation of the horrors of war, but also an enduring picture of human fortitude in the midst of despair. This production, set in World War II, showcases the continuing relevance of one of the most powerful anti-war plays ever written. Produced in Athens in the spring of 415 BC, Euripides' Trojan Women dramatises the aftermath of war by focusing on the unique perspective of the captive women of Troy. Led by their former queen Hecuba, the women bemoan their fallen city and the prospect of a new life in a foreign land as slaves of the savage conquering Greeks. A timeless tale of defeat and destruction, the play gives voice to the grief and experience of women in war. Euripides (c. 480-c. 406 BC) was the youngest and most provocative of the three great Athenian tragedians. Though he wrote about ninety plays, only nineteen survive. Trojan Women was produced when Euripides was sixty-nine years old as the final part of a trilogy consisting of two lost plays, Alexandra and Palamedes along with a satyr play, Sisyphus. It was awarded second prize at the Great Dionysia festival in Ancient Athens. To complement the production of Trojan Women, we shall be offering a series of talks and workshops which aim to illuminate the play and its context and to bring Euripides to life for a modern generation. This exciting programme includes talks by academic experts on ancient drama and its reception, as well as interactive workshops by contemporary theatre practitioners. 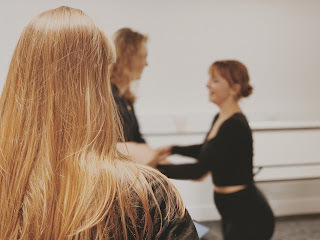 There are events on every day of the play’s performance, and each talk or workshop deals with an important angle of interpreting or performing the play. All of our speakers have experience in working with schools, and the events will be suitable for students of Classics, Classical Studies, and Drama, as well as accessible to those without prior experience of Greek drama. All events are free of charge and open to all. However, the participatory nature of the workshops means that space is limited, and pre-booking is therefore essential. We would also recommend pre-booking for the lectures, in order to avoid potential disappointment on the day: please reserve places for your group by emailing Rosa Andújar. The workshops will last approximately 2 hours; the talks will last approximately 45 minutes, with time for questions at the end. Please note that workshop participants should be aged 16 and above. 6.00-7.00pm - Public Talk by Professor Simon Goldhill (Cambridge). Venue: Roberts Building G08, Sir David Davies Lecture Theatre. Wednesday 6th February 3.15-5.15pm - Participatory Workshop: Russell Bender: 'Physical Approaches to the Greek Chorus'. 6.00-7.00pm - Public Talk by Professor Chris Carey (UCL). Venue: Roberts Building G06, Sir Ambrose Fleming Lecture Theatre. 6.00-7.00pm - Public Talk by Dr Rosa Andújar (UCL). Venue: Wilkins Building, Second Floor, Gustave Tuck Lecture Theatre.